Animal symbolism, and indeed Nature symbols as a whole, features heavily into Native American belief systems. Animals appearing repeatedly in our lives, in dreams, etc. are part of Animal Medicine – i.e. energies to which we should pay attention, or spirits that are helpers for our physical, mental or spiritual condition. What is the animal kingdom communicating to you? What insight is Mother Nature imparting to help you live a more benevolent, peaceful & joyous life? For those Beautiful Souls seeking the deeper meaning of these animal signs from Spirit, we’ve put together an animal spirit guide to, well, guide you. 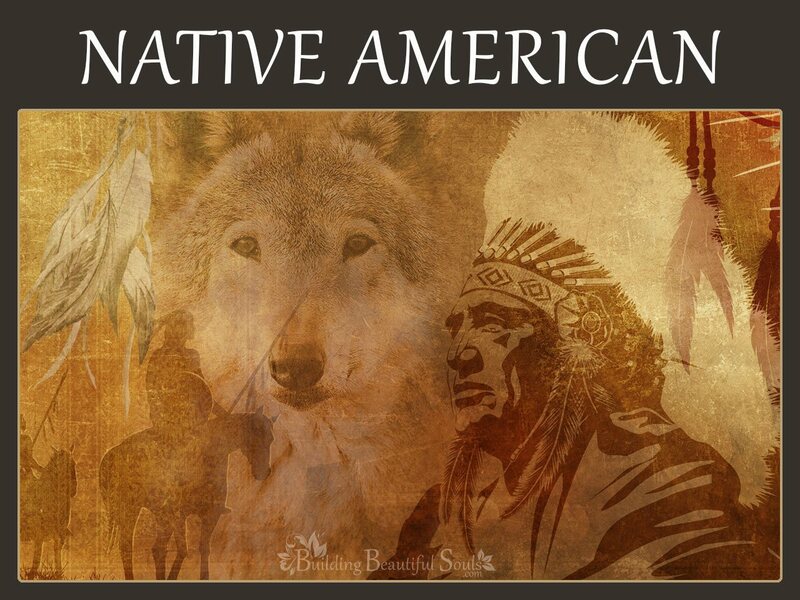 Scroll down to find the Native American Animal Symbols and Meanings that most interest you! 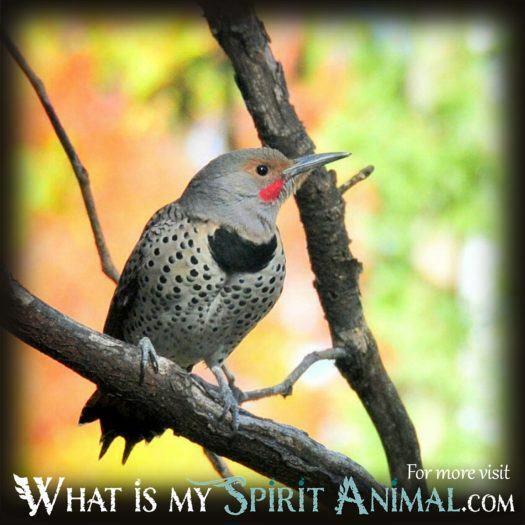 Click learn about the difference between Spirit, Totem, and Power Animals. 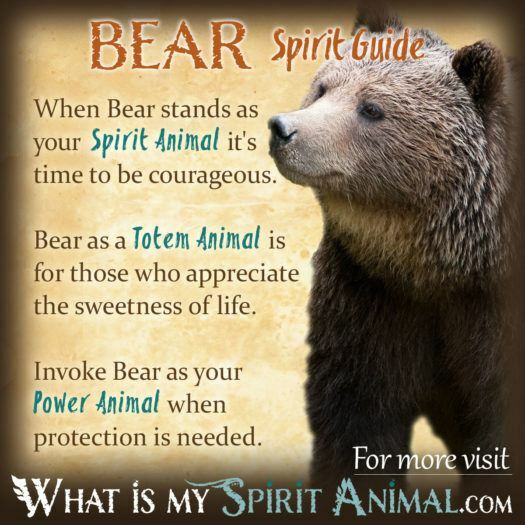 At my sister site WhatIsMySpiritAnimal.com, read more about Bear Symbolism & Meaning. Is the big bad bear really big and bad? On some levels most definitely. Bear spirit vigilantly protects his forest and den from invaders. Mother bears are among the most frightening of animals when safeguarding their young. So, the first lesson from bear spirit is one of strength and safety, but applied with due restraint. Sometimes people wander into our lives unwittingly causing chaos or harm. Before the bear claws come out and pause to consider intention. Native American tradition associates bear with elders and family. Bear is also a teacher in gathering necessary sustenance. In all this the bear spirit remains eminently pragmatic and patient. Bear people fare well in business, often offering competent guidance and sharing success with those who participate equally. As a spirit animal Bear shows you how (and when) to stand up and fight the good fight. This creature embodies assurance and the ability to act. There’s also great balance in Bear – it knows when to retreat, rest, ground, center and heal. Inuit tradition in particular regards the bear as a power animal for women who also teaches us survival skills. 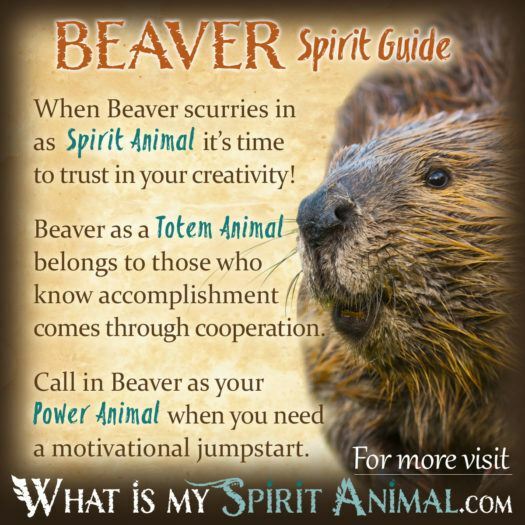 At my sister site WhatIsMySpiritAnimal.com, read more about Beaver Symbolism & Meaning. Beaver medicine can be summed up by the words tenacity, diligence and willpower. Unlike Otter, beaver is a rather stoic chap who focuses on a task until it’s done right. Solid planning and hard work goes hand in hand with beaver energy when it shows up in your life. This doesn’t necessarily mean that tasks become time consuming. Beaver says: work smarter not longer. Even something thought improbable can manifest when Beaver is around thanks to impressive shrewdness. As an animal spirit Native American lore reveals the beaver as a mover and shaker. This creature represents sagacity and success in the hunt. Various tribes have Beaver as a totem including the Muskogee, Chippewa and Iroquois. Cougar has both positive and native connotations in Native American stories. Western tribes feared them feeling the cougar’s cry preceded various ills. Conversely the Eastern tribes saw the cougar (or Panther) as a grand creature. Shamans often looked to Panther Spirit to help in the hunt, and several tribes have Cougar as a totemic creature. Pueblo people designated Cougar as the spirit of the North. Incan tribes connected the Cougar with prosperity and good fortune. When Cougar appears in your life it’s a message to move. Speed is called for, but also use your charm and good graces to make what might be a difficult transformation into something successful. The cougar’s mantra could well be “s/he who hesitates is lost.” Do not let anyone steal your thunder or power. Alternatively the cougar may be bringing a message about a proverbial “hunt” in your life. Are you staying true to your goal while also keeping your eye open for alternative doorways? If not, let Cougar guide you. It is fine to act on logic but sometimes you just have to trust those wild instincts. 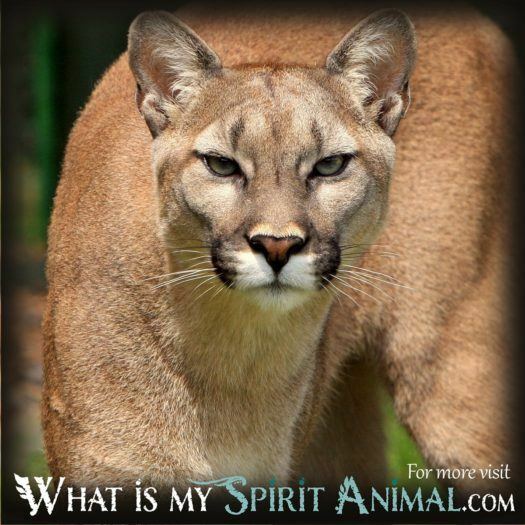 People with a Cougar totem often pursue personal and professional goals in a very solitary way. They keep their cards close to the breast, staying focused until the right opportunity presents itself. Such individuals may be a little territorial, but only toward those they feel are making a power play. At this juncture the cougar roars with purpose, and those words travel far. Speaking of travel, cougar people move frequently throughout their lives seeking out the next great region as the situation and resources demand. 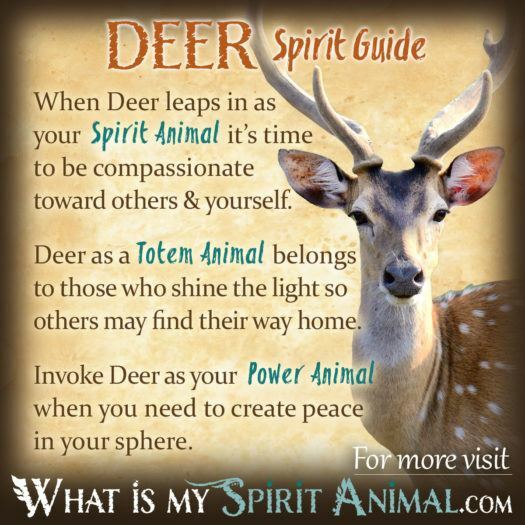 At my sister site WhatIsMySpiritAnimal.com, read more about Deer Symbolism & Meaning. Native Americans see the Deer Spirit as a bit of a comedian. This creature’s agile mind catches on to little things and turns them into something humorous. Deer has an acute awareness of self and a very welcoming personality that inspires people in his or her circle. Some Native Americans prayed to the deer spirit for aid in hunting. This request was typically balanced with an oath – the hunter would gather only what the tribe truly needed. To break this oath was paramount to dooming a tribe to starvation until someone righted the wrong. This is a beautiful lesson about keeping balance with nature and our responsibility toward the Earth. People with a deer totem have strong instincts and unique gentleness. You can move in and out of complex situations very quickly. You also have tremendous potential for giving love to others without expectation. The lesson of Deer Spirit is simple: just because something looks docile or helpless doesn’t mean it has no options or strategies. Male deer have horns, for example. Additionally since antlers have the power to regrow, deer spirit shows you the path toward renewal when plans fail due to unforeseen predators. Like Snake, the Elk spirit teaches how to best apply our personal energy, pacing ourselves to fulfill goals. It also represents passion, leadership, alertness, nimbleness and endurance. When elk appears in our lives its typically with a message about how you run your race. At the end of the day you’ll need some reserves, which set you apart from those who burned out by pushing too hard or too fast. Life is not a sprint. It’s a long path. If you rush, you’ll risk missing subtle dangers and lessons that lie along the way. Elk people like companions but not all the time. You need privacy to refill those inner wells. When you feel challenged the antlers come out in full force in order to protect the rest of the herd, giving them time to flee. This is the main area where the Elk’s aggressive nature manifests. When Elk comes to you life may suddenly change and you find yourself the center of attention. Perhaps you’re being asked to lead. No matter the scenario Elk teaches the lesson of self-assurance and pride. 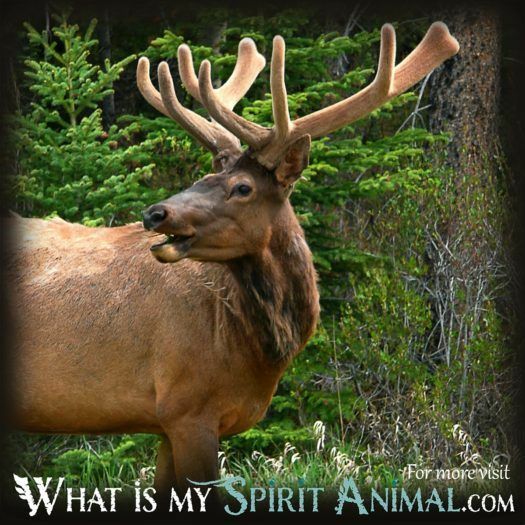 The Elk spirit is generally considered masculine in nature and a symbol of a successful hunt. It also is the spirit animal who protects women. Flicker (or Flickr) birds are a type of Woodpecker that prefers to stay closer to the ground where they can easily gather beetles and ants into their beak. In this simple action the Flicker reminds us that doing things differently, more resourcefully, and frugally often lands us in good stead. The Flicker is a communicator, typically drumming out warnings that can be heard upward of a ½ mile away. If one has come into your life, think about the form of your communications and how they’re being interpreted. Native Americans used Flicker feathers as part of prayer sticks for war and as a hair decoration that indicated a healer. This dichotomy is purposeful. Harm and healing often come from the same source. The bird has associations with the element of fire and the characteristics of being a good friend, good listener and generally being a happy person, so when one appears don’t let your hope “flicker” out! Geese are seasonal creatures who remind us of the Wheel of Time. Native Americans see them as representing tribal teamwork, effective communication, commitment, fertility, fidelity and the Winter Solstice. Geese have specific lessons for humankind, at least one of which is showing kindheartedness. When other birds with whom they migrate become injured they remain with that creature. Geese also know how to delegate authority, having various birds who take on leadership roles. This is certainly an excellent instruction to those who take on roles for which they’re ill-suited or at times when they’re already stretched for time and energy. Geese have a very distinctive voice – have you found yours yet? When you’re ready to speak out for something meaningful don’t be shy, give it a try. The way in which geese communicate is more intricate than you might expect. The two most common honks, however, is a long call that draws geese toward one direction, and the other is a shorter cluck that eventually brings them together. Ponder to whom you call and whether or not close proximity is warranted. People with a goose totem tend to mate for life. They may also realize a natural attraction to organic foods or even a vegan lifestyle (Geese don’t eat meat). As an animal spirit the goose facilitates goals and supports personal quests with uncommon determination. This spirit also asks us to examine our emotional affairs – love, hate, loneliness – in this the goose counsels love, including self love. 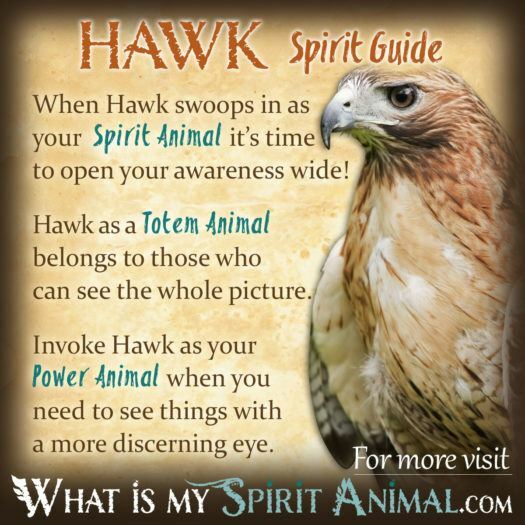 At my sister site WhatIsMySpiritAnimal.com, read more about Hawk Symbolism & Meaning. When you want someone to take charge of a situation using kindness and perspective as a guide seek out a person with a hawk totem. These tireless spirits have the ability to turn things around and create resolutions where others got stuck looking at a brick wall. Mind you, they have little patience for mean spirited folk. For such individuals you’d do best to avoid hawk medicine. People who have hawk as a totem use their eyes for just about everything. They also use their “inner eyes” for expanding the realm of understanding. You can’t hide much from a Hawk and its usually best not to try. As a spirit messenger Hawk bears missives from a spirit or even perhaps the divine. He may be encouraging you to focus, clarify and then take the lead particularly in spiritual matters. Hawk may show up as an aid when you’re learning new divination systems too. Let the hawk’s powerful vision guide you. Ah the ever spirited, approachable and liberated otter. This is a very unconventional Animal spirit/guide. When otter is around conventional, predictable situations go completely out the door. Expect the unexpected. Otter has intense creativity and imagination. Wherever otter energy appears you can bet it will be with the leader of a pack whose a future-thinker, mover and shaker. While some may see otter as the proverbial clown or jester do not underestimate this creature. 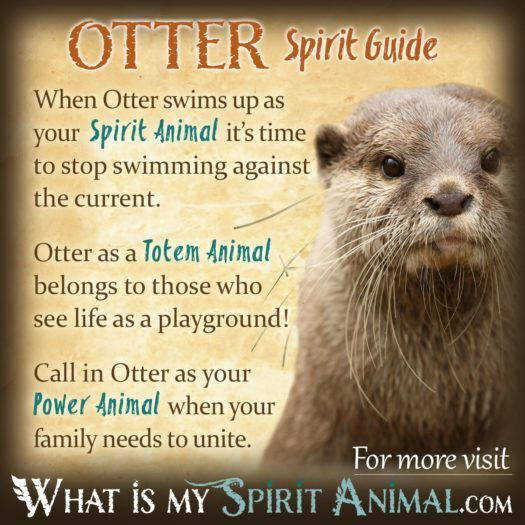 When otter spirit comes to you it provides great help. This guide is honest and brave, and draws you out of whatever funk hangs in the balance. Otter is seen as a feminine influence that nurtures and guides without becoming overly serious. This is an excellent creature to call upon during long recoveries or times of great worry so you can reclaim your joy. After all, if anyone knows how to play and reawaken your inner child, it’s an otter. Hop on into the water with them, go with the flow and stop struggling so much. Also, otters love to chatter so don’t be afraid to talk out your issues. 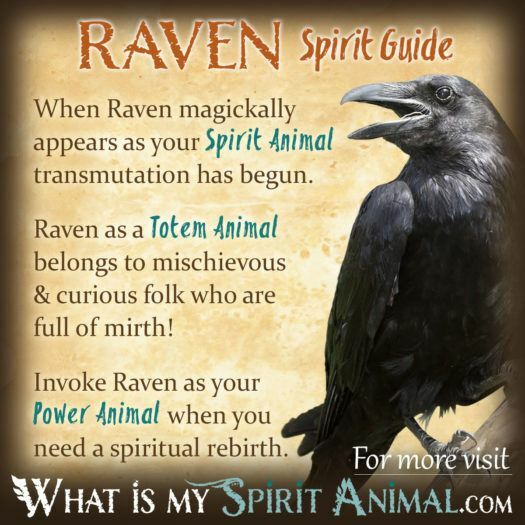 At my sister site WhatIsMySpiritAnimal.com, read more about Raven Symbolism & Meaning. The Raven or Crow is quite a clever character and a bit of a trickster. They love adventure and travel in part because it provides unique perspectives. Some shaman associate the Raven with the power to shape shift, and as true-seers. Overall Raven spirit brings magic and missives from other realms. Some rituals call upon Raven to help with healing, particularly for someone far from the tribe. People who have a Raven totem can keep a secret better than anyone you know, but the animal guide may require revealing an uncomfortable verity. The only time one should fear a Raven spirit is if you know you’re misusing your power (or a specific secret). Northwest Native stories tell us that we have Raven to thank for sun, moon and starlight. Another myth says Raven stole salmon from the Beaver people and managed to spread the fish all over the land during a merry chase. Nearly all the folklore of the Raven/Crow show a creature of great strategy and humor. At my sister site WhatIsMySpiritAnimal.com, read more about Snake Symbolism & Meaning. In Native American astrology, people born during the sign of the snake often become tribal shamans. The snake represents both the mundane and spiritual aspects of life – a bridge that the Shaman must walk between to serve the tribe. Snake people are often healers too. Those with Snake totems have visionary aptitude and many people misunderstand them. These souls require times away to renew so they can return to the circle in which they live, love and laugh. Snake people have incredible primal forces within. Wherever they go they create change. 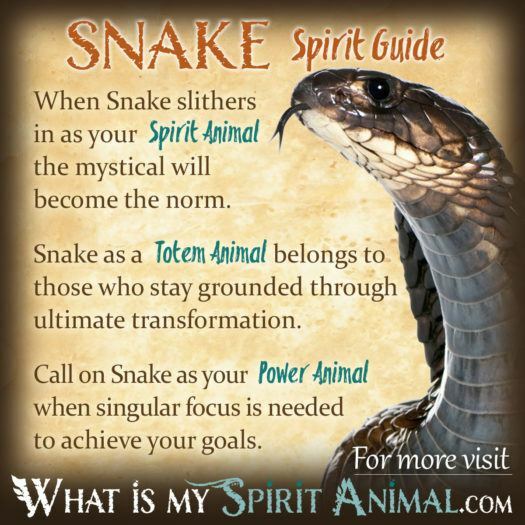 As a spirit animal snake reminds us to use our energy wisely. 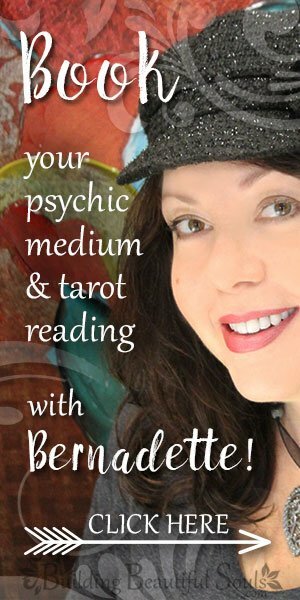 This messenger may also be alerting you to an unused healing aptitude or a time of spiritual transition. No matter what, snake spirit says: keep one foot on earth, if not both! Certain Native American tribes like the Menominee have spring rituals honoring this fish, and the Ojibwe tribe has a sturgeon clan. 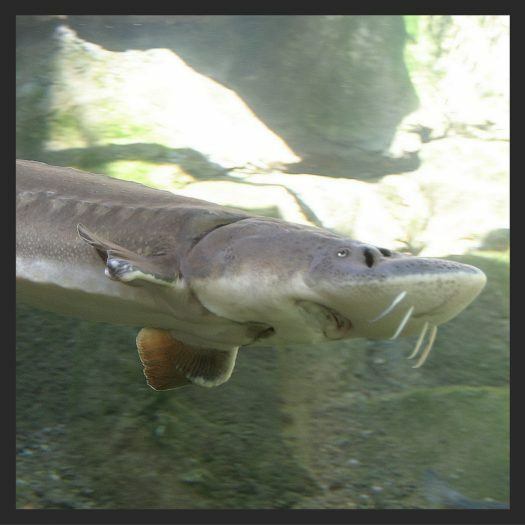 In both these settings the sturgeon represents vitality and long life even in the face of hardship. When the sturgeon spirit comes into our lives it reminds us of how to gracefully navigate our emotions and remain in control when life’s waters turn rough. Change is inevitable. The harder you resist the more unhappy you’ll become, but when you truly listen to your instincts you know exactly the best direction in which to swim. People with a sturgeon totem have great artistic sensitivity through which they express a great number of insights to those with eyes to see. Whatever art you choose it becomes a lesson-filled saga to those who experience it. We begin here with a look at generalized Native American Symbols with the understanding that each animals’ meaning often varied from tribe to tribe. Translating that diversity into our modern lives, the connotations behind animal emblems may likewise transform according to our personal experiences, environment and other conditions. So take a cue from Mother Nature and let your instincts and Higher Self adjust the implications. The Spirit world is pretty forthright – if it’s reaching out to you there is a darn good reason, but that contact won’t do much good if you get stuck in the muck of one framework for interpretive values. Having said that, if you feel the need for a place to start you can review Native American traditions, Celtic Customs, Far Eastern representations etc. In Native American tradition there are several types of spirit or animal guide messengers each of which has a specific role. A Totem Animal is a creature (or item) that represents a person, a family or an entire tribe. The connection between the creature/item and a person is typically life-long unless a dramatic event occurs. By comparison, a Spirit Animal is not a living creature per se, but rather a transcendent animal entity that grants a person specific characteristics of that creature or acts as a guide, protector and teacher. These spirits change regularly depending on the needs and lessons of a group or individual. Power Animals are nearly synonymous with the exception that a trained Shaman can call upon a power animal for assistance using ritual, dream work, dance, etc. If you’re feeling a bit confused, you’re in good company. Throughout the New Age movement these terms have been used interchangeably. Sorting them out isn’t easy, but really what’s most important is the message an animal symbol or spirit transports into your life. These missives can come through billboards, commercials, encounters, songs, etc. For example if you see children playing “duck, duck, goose” followed by hearing a Goose Creek commercial, followed by hearing the Grey Goose folk song and topped off by stumbling over a copy of Mother Goose… you can be pretty sure Goose is trying to get your attention! 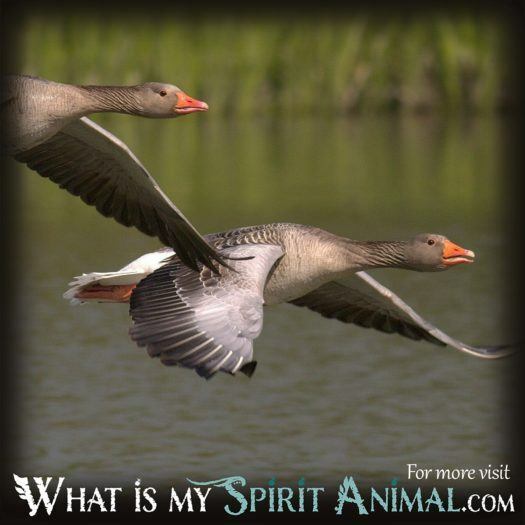 What is your Goose animal spirit guide trying to tell you? Have you been a “silly goose” lately? Is it time for you to “fly” and lead a “flock”? Geese are loud. Is it time for you to get the ol’ throat chakra wheel spinnin’?